Other times, subdued and matte. 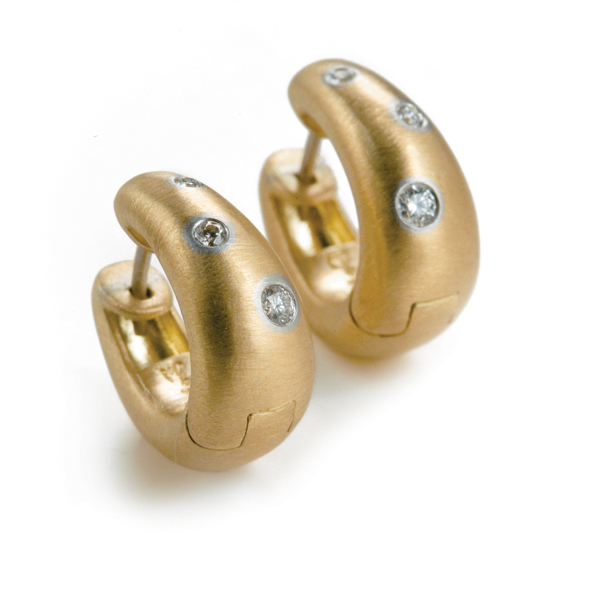 with these 18K matte yellow gold earrings with diamond accents. Special Order. Also available in white gold.